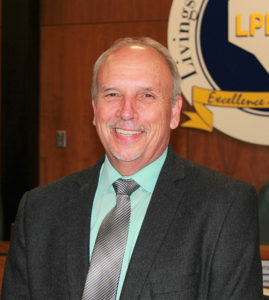 The Livingston Parish School Board voted at its April 18 meeting to have current Assistant Superintendent Joe Murphy take over as the district’s next superintendent. Murphy has worked in the Livingston Parish Public School System since 1992, serving as a teacher, coach, assistant principal, principal and supervisor. He has worked in his current post for the past four years and is credited with managing much of the district’s recovery from the August 2016 flood. Murphy holds a Bachelor’s Degree in Secondary Social Studies Education from Louisiana State University and a Master’s Degree of Educational Administration and Supervision from the University of Southern Mississippi. 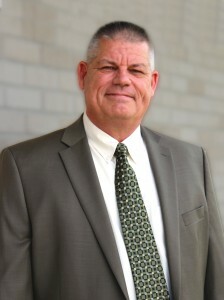 Current Superintendent Rick Wentzel announced in February that he would retire on June 15, 2019, forfeiting the last year on his four-year contract agreement. Although Wentzel has nearly two months remaining of his term, he said he will step aside to allow his successor to begin serving in the district’s top position immediately. Murphy bested a field of four other candidates who were vying the position, including two current Livingston Parish Public School administrators: Supervisor of Personnel Bruce Chaffin and Supervisor of High School Instruction Jody Purvis. Others candidates were C. Michael Robinson, Jr., of Thibodaux, La., and Elizabeth Duran Swinford of New York. The Livingston Parish School Board voted on April 4 to give an additional $750 paycheck to each full-time school system employee. Part-time employees will get a percentage of the full amount based on the hours they work. The checks are expected to be distributed in May. Superintendent Rick Wentzel said the “13th check” is one of his final major initiatives before retiring in June. 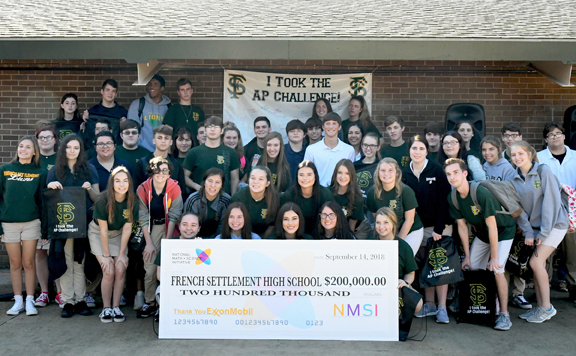 The one-time payment to the district’s 3,475 employees will cost the school system $3.2 million, which will be primarily funded through surplus funds gained in 2018 from the parish’s one-cent sales tax that is dedicated to salaries and employee benefits. “Our parish saw a large increase in sales taxes after the flood because of the increase in expenditures related to the recovery. We would like to give more to our people, but we know these monies are ‘one-time’ dollars, and so we’re allocating them through this ‘one-time’ process,” Wentzel said, noting that the checks will be distributed next month. Wentzel noted that the school system had a tradition of giving employees a “13th check” each year from 1997 through 2008, but when the state stopped funding the 2.75 percent cost-of-inflation increase, the district did not have the funds to give employees the extra check. School Board President Buddy Mincey, Jr., addresses a room full of state legislators and school leaders during a Legislative Breakfast. 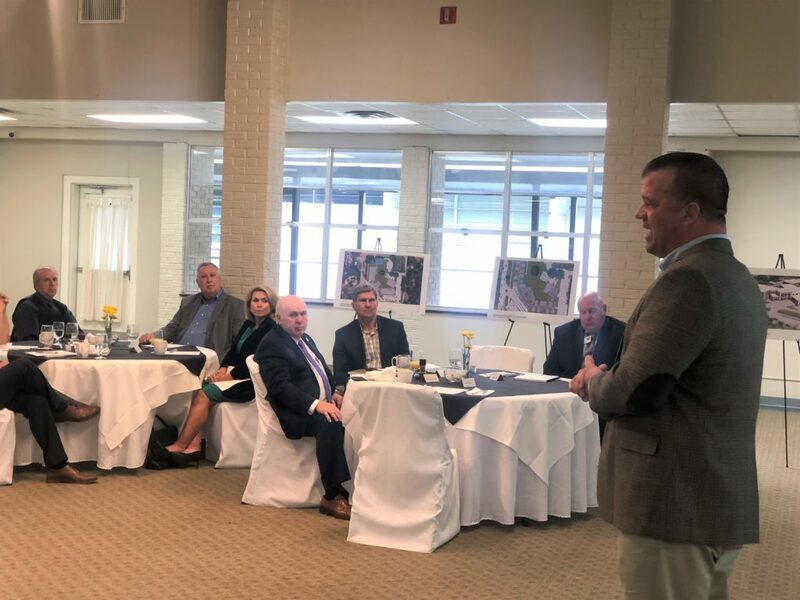 Livingston Parish School officials met with those state legislators who represent Livingston Parish at the new Walk On’s Conference Center on the campus of Walker High School to share with them priorities and funding needs for the school district. Superintendent Rick Wentzel noted that district leadership is supporting the governor’s proposal for a pay raise for teachers and school staff, and he said an increase in funding for the Minimum Foundation Program (MFP) is long overdue and much needed. The MFP is the formula used by the state to determine funding for local school districts. Those state legislators in attendance included Senators Dale Erdey, Eddie Lambert and Mack “Bodi” White, and Representatives Valerie Hodges, Sherman Mack, Rogers Pope, and Clay Shexnayder. 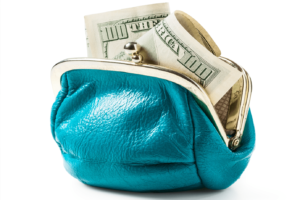 This year’s Fiscal Legislative Session runs from April 8-June 6. 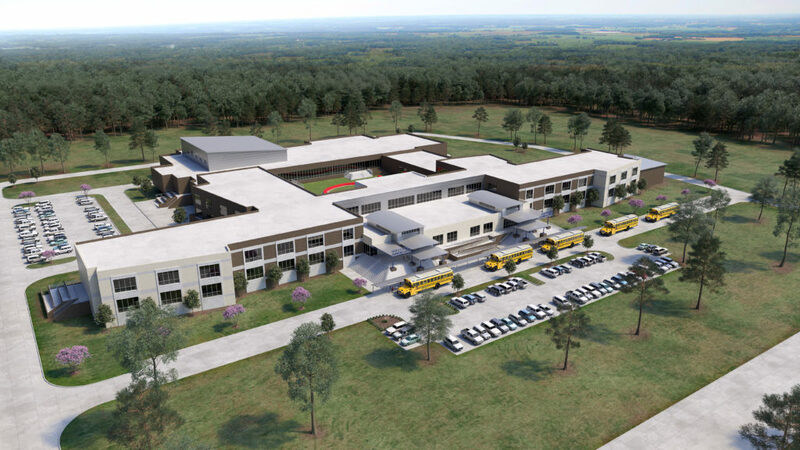 Livingston Parish Public School leaders unveiled the architectural renderings of the new Denham Springs Elementary and new K-8 Southside Campus, replacing those campuses destroyed by the August 2016 flood. The new 80,000-square-foot DSE campus will be the parish’s first two-story elementary school, and it will honor the city’s history with an exterior design that is similar to the original Denham Springs High School that was once located on the same site. That original structure was destroyed by a fire in 1949 and rebuilt two blocks north, at its current location. The new K-8 Southside Campus will house Southside Elementary and Southside Junior High. The two schools will be combined into one two-story complex, but each with separate entrances and learning spaces. They will share a large courtyard that can be viewed by the glassed library area. The elementary school will accommodate 700 students, while the junior high can hold 1,00 students. 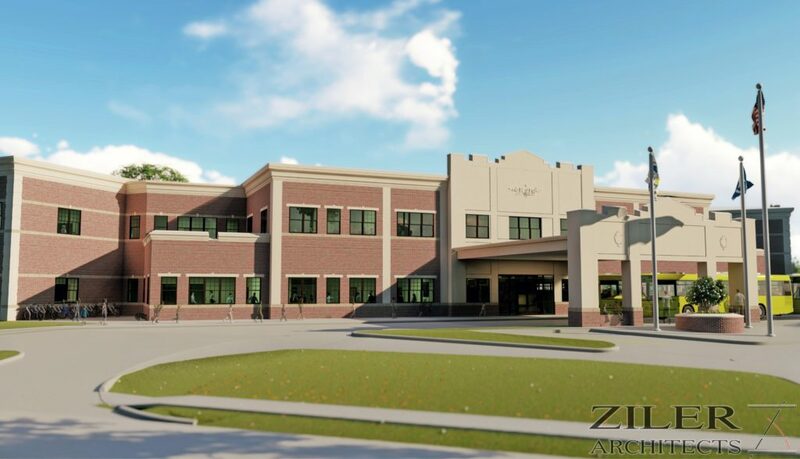 New DSE Rendering – District leaders unveiled this architectural design for the new Denham Springs Elementary by Ziler Architects. 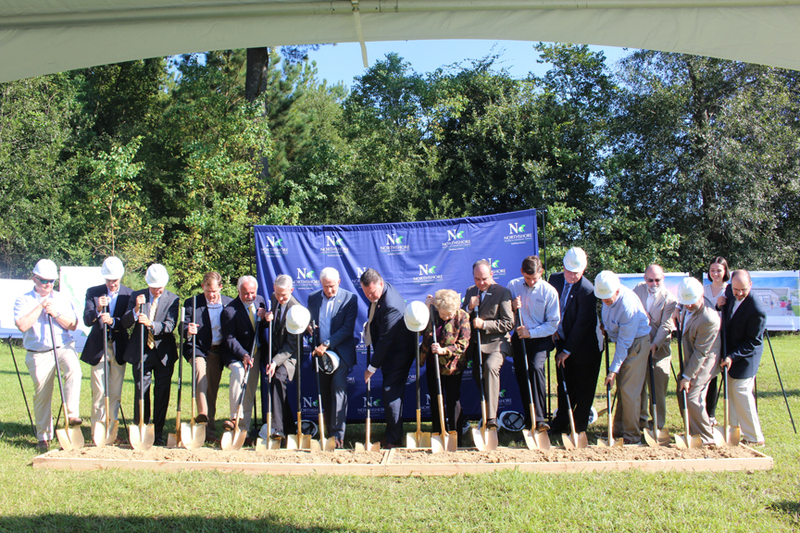 The new school will be the first two-story elementary school in the parish. It will replace the school destroyed by the August 2016 flood. SSE/SSJH Campus Rendering – District leaders presented this rendering of an aerial view of the new K-8 Southside Campus. The rendering from Alvin Fairburn & Associates shows that both schools will have separate entrances at the front of the building, with a shared outdoor common area in the center of the complex. American Idol hopeful Laine Hardy, a recent graduate of French Settlement High School, is hoping his second chance at the big stage is the charm. He has advanced to be among the popular talent show’s Top 10 contestants. 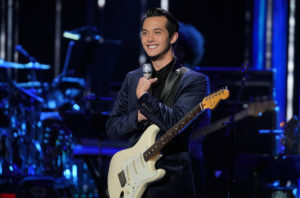 His renditions of Sam Cooke’s “Bring It on Home to Me” and the Beatles’ classic “Come Together” have impressed the judges. Hardy was a part of the last season of American Idol and hadn’t intended to audition this season — he attended a friend’s audition as support, to play guitar, but couldn’t say no when judges thrusted a Hollywood golden ticket at him after an impromptu performance. Superintendent Rick Wentzel told Livingston Parish School Board members at the Feb. 21 meeting that he will retire June 15, 2019. School Board President Buddy Mincey, Jr., said the board will perform an extensive search for the best possible candidates to replace Wentzel. The board expects to announce its selection before May 2019. 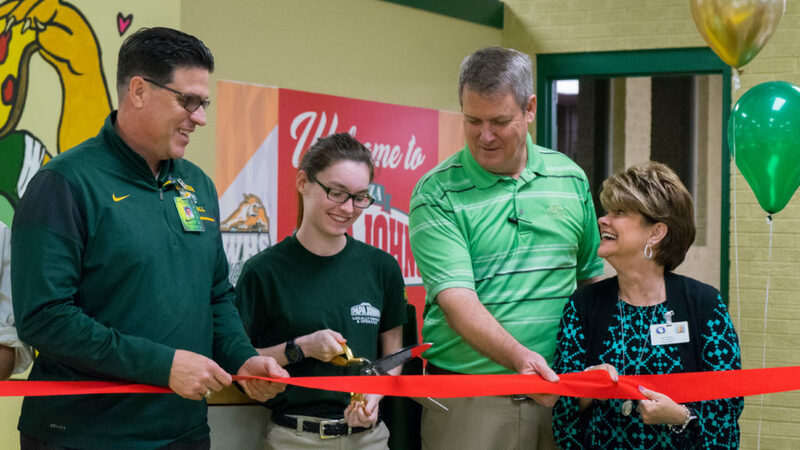 Walker High School Principal Jason St. Pierre, Walker High Pro-Start Student Amber Stroughter, Papa John’s Representative Dan Murphy and Livingston Parish Schools Career & Technical Supervisor Staci Polozola cut the ribbon for the on-campus location of the pizzeria. The restaurant is operated by Pro-Start students, and it’s open from 3 p.m. to 8 p.m., Mondays-Fridays, and from 1 p.m. to 8 p.m. Saturdays. Walker High School administrators, teachers, students and local business leaders participated in a ribbon-cutting ceremony March 7 to celebrate four businesses opening locations on the new, expanded campus. The four businesses include Papa John’s, Neighbors Federal Credit Union, Nike’ Apparel and Walk-On’s Conference Center. All four businesses are jointly operated and managed by students and professional business professionals, and all four businesses are open to on-campus and off-campus customers. 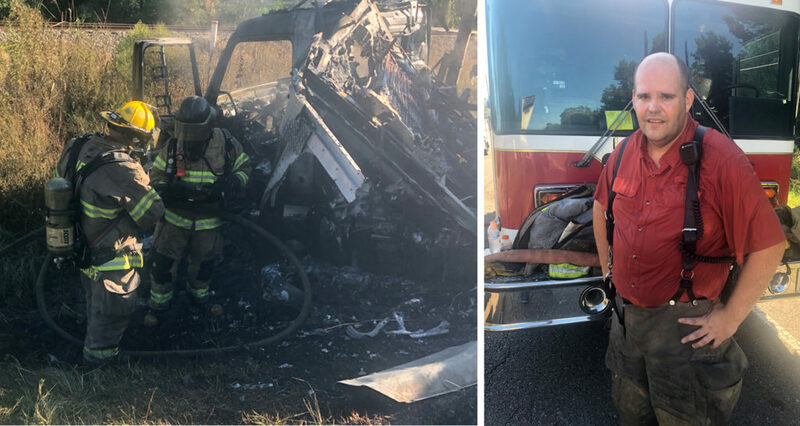 “These partnerships offer our students real-life learning opportunities and valuable experience they can parlay into an immediate career or use to further their knowledge and skill-level for additional training in one of these career pathways,” Walker High School Principal Jason St. Pierre said. The Livingston Parish Library recently announced it is partnering with Livingston Parish Public Schools to provide all students immediate access to the library’s digital resources and services through a new eCard program. The program automatically enrolls more than 26,000 LPPS students into the library system. The new LPL eCard grants students access to all electronic resources provided by the library, ranging from scholastic databases that offer assistance, to homework, to resources offering downloadable eBooks, audiobooks and magazines. In addition, the LPL eCard will allow students to visit their local library branch to check out physical items such as books, DVDs, video games and more. Albany High recognized its nutrition workers during a Saints-sponsored pep rally at the school. 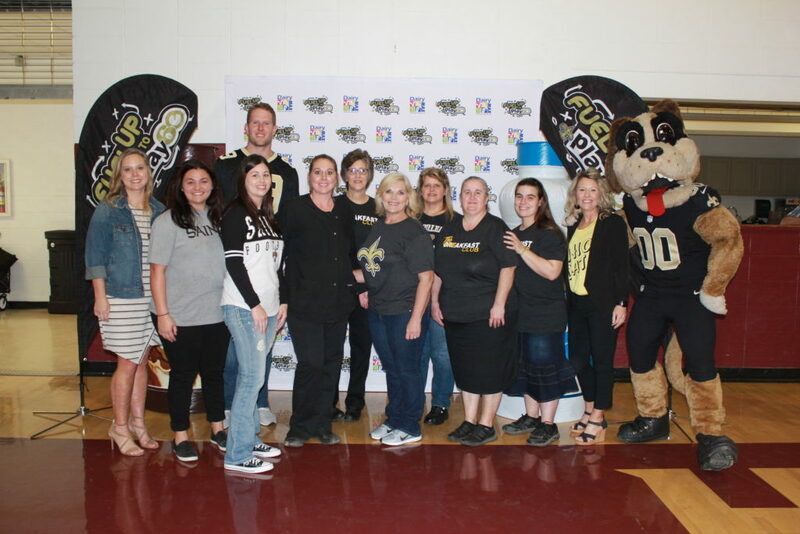 Pictured from left to right are, (front row) Livingston Parish Schools Child Nutrition Director Leah Smith; Albany High School Child Nutrition Technicians Janie Morgan, Jessica Lopez, and Amy Ellzey; Cafeteria Manager Scarlett Ray; Production Manager Shannon Davidson; Albany High Child Nutrition Technician Lindsay Pallia; Livingston Parish Schools Child Nutrition Special Programs Administrator Sommer Purvis, Saints Mascot Gumbo, (back row) Saints Tight End Josh Hill (#89), and Albany High School Child Nutrition Technicians Lynette Glascock and Wanda Anthony. Albany High School won first place in the second year of Gov. John Bel Edwards’ “No Kid Hungry: School Breakfast Challenge,” a contest aimed at increasing statewide breakfast participation. Albany High saw the highest increase of any school in the state, bumping up its breakfast participation by 65 percent. Approximately 83 percent of Albany’s students eat a school-provided breakfast, through traditional breakfast services and the “Second Chance Breakfast” program, according to Child Nutrition Special Programs Administrator Sommer Purvis. Purvis noted that all Livingston Parish students are eligible to receive a free breakfast. She said the parish has seen an increase in breakfast participation over the last couple of years. Last year, French Settlement High and North Corbin Junior High were recognized for recording the highest increases of breakfast participation in the state. 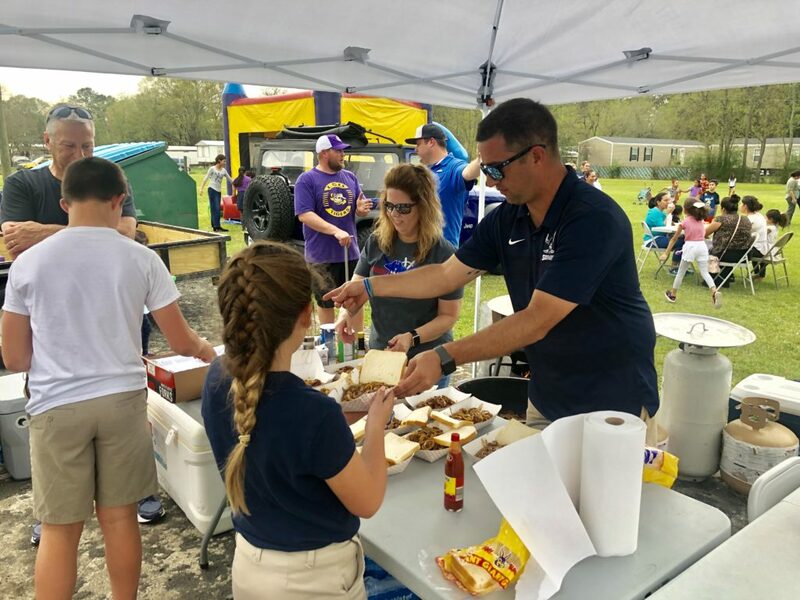 Southside Elementary Principal Laura Williams and Southside Junior High Principal Wes Partin serve up jambalaya to children who participated in the STEAM Express Community Outreach event that was held on March 11. 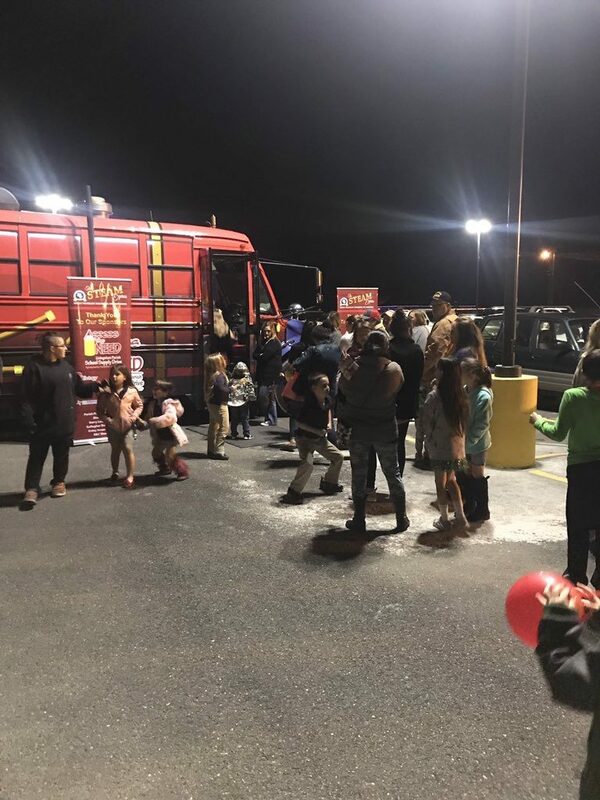 The Livingston Parish STEAM Express recently headlined a community outreach event in the South Denham Springs residential area of Eastover Estates. Educators were joined by volunteers from various parish organizations to provide a variety of learning activities, games and food for local families. More than 350 people attended the event. The Livingston Parish School Board approved plans to convert two buildings on the former Southside Elementary campus into a new STEM & Robotics Center for Denham Springs High School. The new center will offer classes in partnership with LSU designed to enrich student learning in science, technology, engineering and math. The center will be run by the administration at Denham Springs High School. Some of the courses planned for the center include Computational Thinking, Digital Storytelling, Intro to Engineering, as well as a suite of courses focusing on digital media and engineering. Under an approved recovery plan by FEMA, the district will demolish all but two buildings on the Southside Elementary campus. Those two buildings, which are valued at $2.1 million, will be restored to house the STEM & Robotics Center. The demolition of most of the campus and refurbishment of the two buildings are expected to complete before the start of the school in August 2019. 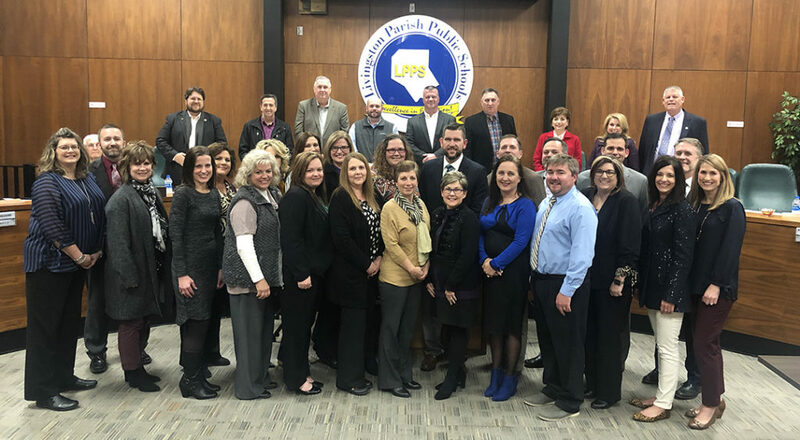 Livingston Parish Public Schools recognized 24 schools that were named 2018 Schools of Excellence. The schools’ principals or designees were present at the January 24 school board meeting to receive placards of recognition for their schools. Pictured, from left to right, are: (front row) Kathy Rodosta, Albany Lower Elementary; Stacey Viator, Levi Milton Elementary; Marty Henry, South Live Oak Elementary; Jo Jean Saucier, Albany Upper Elementary; Cassie Phelps, Maurepas School; Donna Sibley, Doyle Elementary; Lindy Gill, French Settlement Elementary; Kris Roundtree, Holden School; Beth Jones, Live Oak High School; Lee Hawkins, French Settlement High School; Lynette Wheat, Lewis Vincent Elementary; Julie Dugas, Freshwater Elementary; Lauren Kennedy, Juban Parc Elementary; (middle row) John Hill, Albany Middle; Michelle Wheeler, Live Oak Elementary; Michell Stone, North Live Oak Elementary; Kelly LaBauve, Eastside Elementary; Gail DeLee, Denham Springs Elementary; Kim Freeman, Albany High School; John Chewning, Springfield High School; Ken Magee, Denham Springs Freshman High; Kelly Jones, Denham Springs High School; Bryan Wax, Denham Springs Junior High; Dwayne Dykes, Springfield Middle School; (back row) Livingston Parish School Board Members Frank Parrino (seated) Devin Gregoire, Jeff Cox, Bo Graham, Brad Sharp, Buddy Mincey, Jr., Bradley Harris, Jan Benton and Kellee Hennessy-Dickerson; and Superintendent Rick Wentzel. 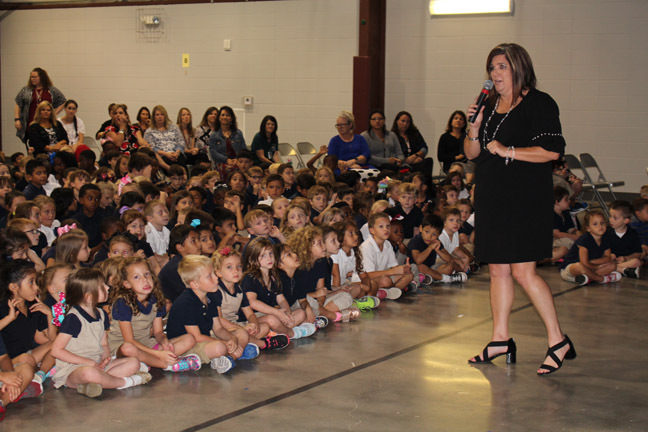 Livingston Parish Schools recently recognized 24 schools that were named 2018 Schools of Excellence by the Louisiana Department of Education for their academic progress. The state’s Schools of Excellence include those schools that earn Top Gains status, which is a designation for academic progress at an “A” level; and Equity Honorees, which recognizes schools in the top 10 percent in Louisiana among targeted subgroups, including special needs students, English learners and economically disadvantaged students. 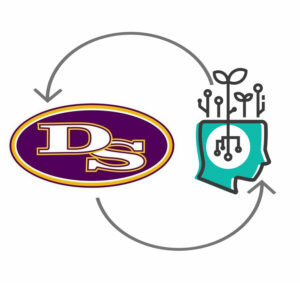 Nine schools earned Top Gains and Equity Honoree recognition: Denham Springs Elementary; Denham Springs Freshman High; Eastside Elementary; Holden School; Juban Parc Elementary; Live Oak High School; North Live Oak Elementary; South Live Oak Elementary; and Springfield High School. Three schools earned Equity Honoree recognition: Albany High School; Denham Springs High School; and French Settlement High School. 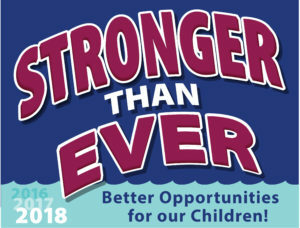 Twelve schools earned Top Gains recognition: Albany Lower Elementary; Albany Middle School; Albany Upper Elementary; Denham Springs Junior High; Doyle Elementary; French Settlement Elementary; Freshwater Elementary; Levi Milton Elementary; Lewis Vincent Elementary; Live Oak Elementary; Maurepas School; and Springfield Middle School. 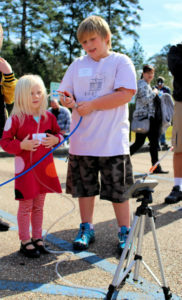 More than 200 students and their parents gathered at the Livingston Parish Literacy & Technology Center on January 26 to engage in learning activities in the fields of science, technology, engineering and math through a variety of hands-on games, exercises and demonstrations – many of which were made available by the Livingston Parish STEAM Express. 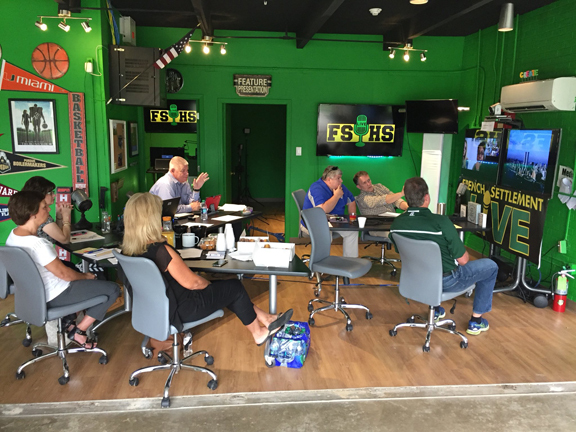 The Community STEM Café was presented by a variety of educational and professional groups from Southeastern Louisiana University, the Northshore Technical & Community College, the State of Louisiana, Livingston Parish Public Schools and independent STEM educational groups. Livingston Parish Schools Instructional Technology Facilitator Nikki Lavergne said the local turnout for the event, which was the first to be held in Livingston Parish, exceeded expectations, including the popularity and demand for access to the STEAM Express, which is a mobile learning laboratory that is equipped with learning activities for students and parents. The mobile classroom can be customized to focus on any field of learning and adapted for any age group. 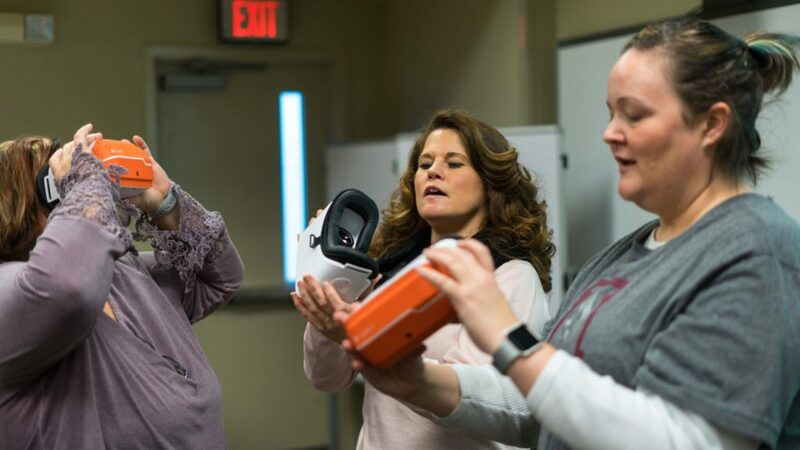 “It’s just so exciting to see our students engage in learning activities, to have their parents engage in the activities with them, and for students and parents to leave with plans to seek out more educational materials on their favorite subjects,” Lavergne said. 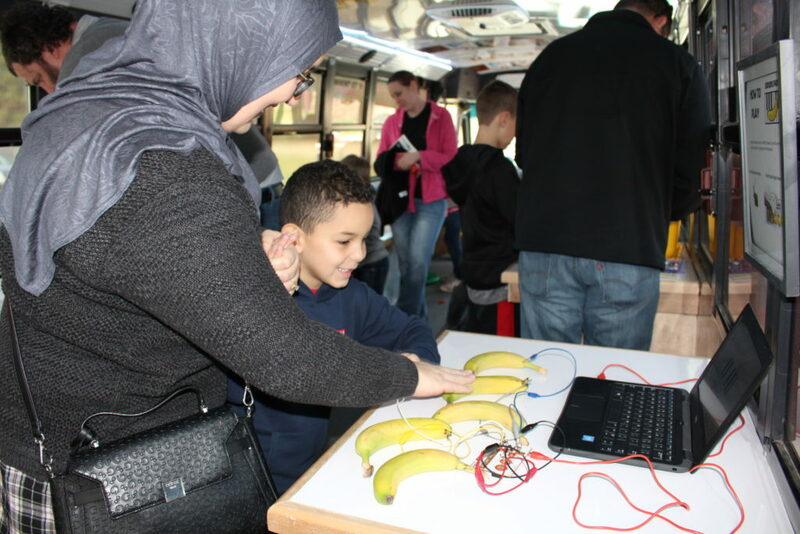 Soaud Henni and her son, Wascom Henni, learn how to create an electrical charge from a banana during Saturday’s STEM Café, which was held at the Livingston Parish Literacy & Technology Center in Walker. Wascom Henni is a pre-kindergarten student at Juban Parc Elementary. Springfield High School Senior Andrew Larpenter. Springfield High School Senior Andrew Larpenter has advanced to become a National Merit Scholarship Finalist, making him eligible for one of 7,500 National Merit Scholarships to be awarded this spring. To enter the National Merit competition, Larpenter had to take the PSAT test during his junior year of high school. From the 1.6 million students who met entry requirements for the 2018 competition, approximately 16,000 were selected as semifinalists. From that list, 7,500 finalists were chosen. The Livingston Parish STEAM Express will headline a community outreach event in the South Denham Springs residential area of Eastover Estates on Monday, March 11 from 4 p.m. to 6 p.m. near the Light of the Word Church at the corner of Aztec Drive and Chickasaw Avenue. Educators with STEAM Express will be joined by volunteers from the Livingston Parish Library, Livingston Parish Sheriff’s Office, Might Moms, Assess the Need, Stewart Medical Center, Jackets Against Destruction Decisions and teachers from Southside Elementary and Southside Junior High School to offer a variety of learning activities, games and food for local families. Eastside Elementary Title 1 Tutor Wendy Gibson works with students on a word exercise. Pictured with Gibson, from left to right, are Eli Territo, Grace Underwood and Rosa Cruz. 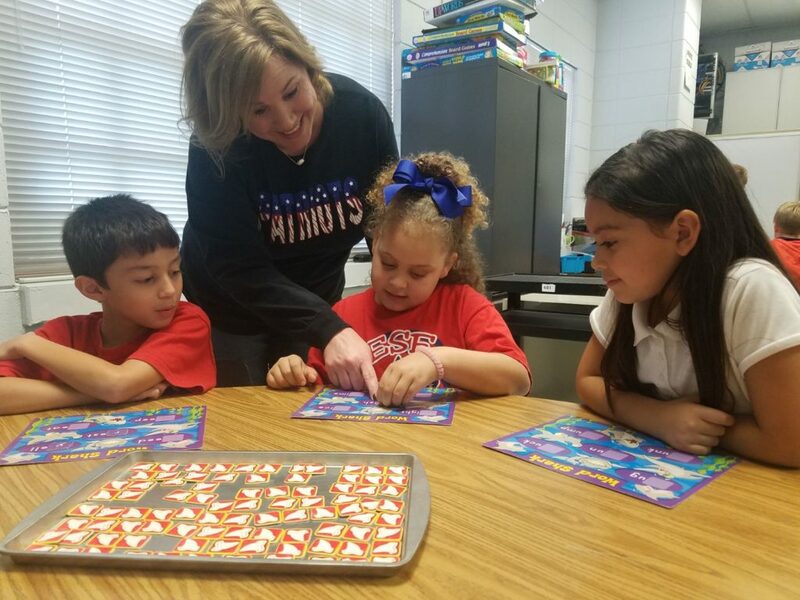 Eastside Elementary School in Denham Springs has been named a National ESEA Distinguished School in recognition of the success of its education programs and academic progress by its students over the past year. The Louisiana Department of Education submitted Eastside Elementary as its single statewide selection for the honor in the elementary category. The Elementary and Secondary Education Act (ESEA) provides additional resources for at-risk students and federal grants to state educational agencies to improve the quality of public elementary and secondary education. “We are excited that our efforts, and the tremendous progress of our students, have gained the attention of state education leaders and now, the national administrators who oversee many of the federally funded programs in our schools,” Eastside Elementary Principal Kelly LaBauve said. The National ESEA Distinguished School award was given to less than 100 schools across the country that gained recognition for exceptional student achievement in 2018. These honored schools demonstrate a wide array of strengths, including team approaches to teaching and learning, focused professional development opportunities for staff, individualized programs for student success and strong partnerships between the school, parents, and the community. Students from Maurepas High School who participated in the Livingston Parish Chamber’s Third Annual Student Business Conference included, from left to right: Hailey Harden, Madison Tullier, Brittany Barrientes, Nevaeh Stewart, Logan Scuderi, Dakota Fabre, Elijah Blount, Trent Robillard and Bryce Felphs. Also pictured, standing in the back, is Livingston Parish Public Schools’ Career and Technical Education Coordinator Staci Polozola. 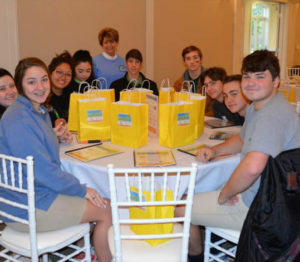 Juniors from Doyle, Holden and Maurepas high schools took home lessons from some of the parish’s leading business professionals who helped to host the Third Annual Student Business Conference, which is hosted by the Livingston Parish Chamber of Commerce. Students divided into three groups and rotated among the professionals who provided lessons on preparing for job interviews, managing ethical issues and working in a team setting to accomplish goals. The half-day conference was held at Carter Plantation in Springfield. 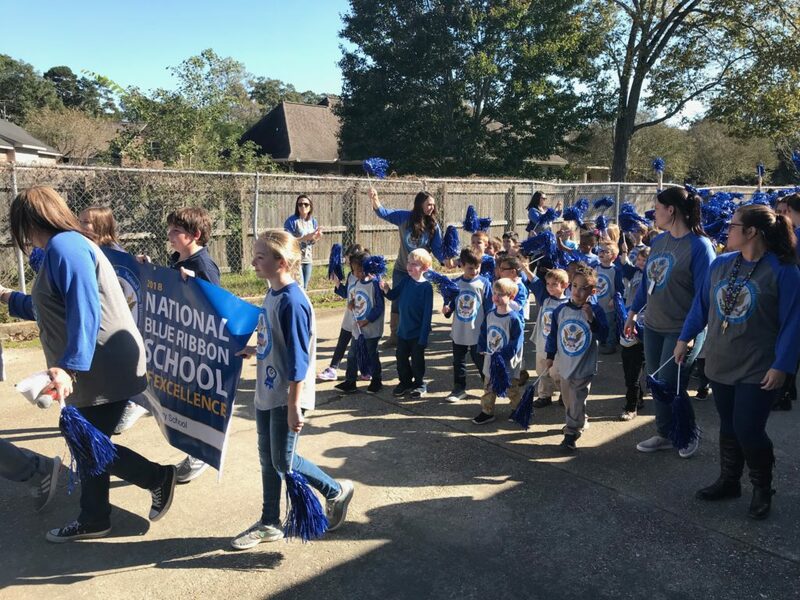 Lewis Vincent Elementary students and their teachers march throughout the campus waving pompoms and carrying a blue banner that proclaims their school’s designation as a 2018 National Blue Ribbon School. Students, educators and parents marched through the Lewis Vincent Elementary campus to celebrate their school being named a National Blue Ribbon School. 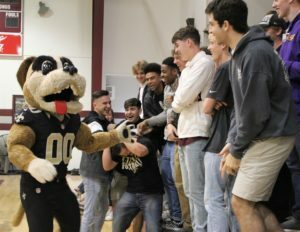 Lewis Vincent is one of only six schools in Louisiana to get the award this year, and only the second school ever in Livingston Parish to receive the award. The marchers wore blue and grey t-shirts emblazoned with the National Blue Ribbon logo. 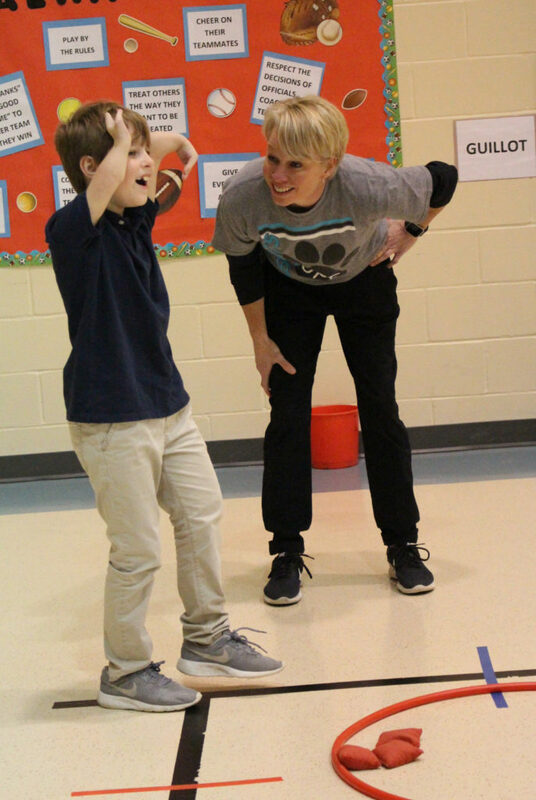 The Livingston Parish STEAM Express is on the road – and in communities – sharing learning activities with children and their parents. The activities introduce fun learning concepts on important subjects in science, technology, engineering, arts and mathematics. Already, the STEAM Express has scheduled stops at nearly every campus in the parish, visited the parish’s libraries and participated in the Livingston Parish Fair and local parades. “The idea is to take learning to students and their parents to introduce them to new and exciting concepts,” Assistant Superintendent Joe Murphy said. Students and parents at Doyle Elementary recently turned out for an evening event at to participate in the STEAM Express learning activities. 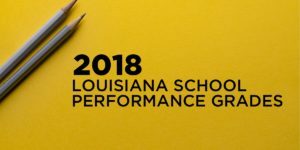 Thirty one of Livingston Parish’s 42 schools that received performance grades in the Louisiana Department of Education’s 2018 report showed academic improvement as compared to last year. Although the state department used a new formula this year in calculating school scores and assigning letter grades, a comparison of school performance scores under the old formula – for an “apples to apples” comparison – shows significant gains across the parish. “Despite the confusion of the new scoring system that has changed letter grades for our schools and district, the outcomes on our assessments and growth indicators continue to show we’re raising the bar in Livingston Parish,” Supervisor of Instruction Tracy McRae said. McRae noted that under the state’s old grading formula, the district would have received a performance score of 108.2 – which would have been a 3.3 point increase from the previous year’s calculation. Significant gains were reported at the parish’s high schools, according to the state’s latest report. The most impressive measurement is that for the 2017-2018 school year, Livingston Parish ranked No. 2 in the state with 73.7 percent of all graduates earning more than a standard diploma. The parish’s high schools recorded a record-high graduation rate of 86.6 percent, an increase of 3.4 percent, with seven of the parish’s nine high schools improving their cohort graduation rate (those students graduating in a four-year period). Springfield High led the way with a 19-point increase. French Settlement High improved 16.2 points, Albany High grew 15.2 points and Doyle went up 14.6 points. 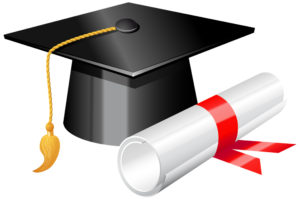 The district has put much focus on strengthening the diplomas of parish graduates by giving them opportunities to earn basic or advanced academic and/or career and technical certifications. Those certifications are recognized by post-secondary colleges and industry trade schools. 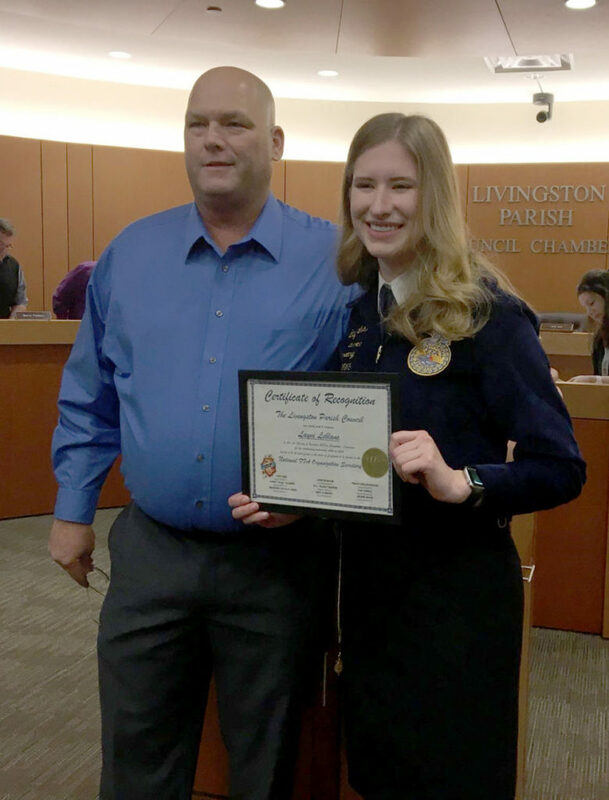 Livingston Parish Councilman Jeff Ard recently recognized Layni LeBlanc for being named a national Future Farmers of America officer during a Livingston Parish School Board meeting. Photo courtesy of The Advocate. Layni LeBlanc, a graduate of Walker High School, has become the first woman from Louisiana to serve as a national officer of the National Future Farmers of America organization. LeBlanc is currently studying animal science at LSU, and she hopes to attend veterinary school after graduation. As an FFA officer, she will travel to 40 states and Japan to promote agriculture and the organization during a one-year leave from the school. She will serve as national secretary on a team of five other officers from different states. LeBlanc is the first Louisianan in 31 years to serve as a national officer and fifth ever. She is the first female from Louisiana to serve at that level. Livingston Parish voters in school board districts 8 and 9 elected two new members to the board on Nov. 6, while districts 1 and 4 gained new members as the current seat holders announced they would not run and only person signed up for each of those two seats during the July 18-20 qualifying period. 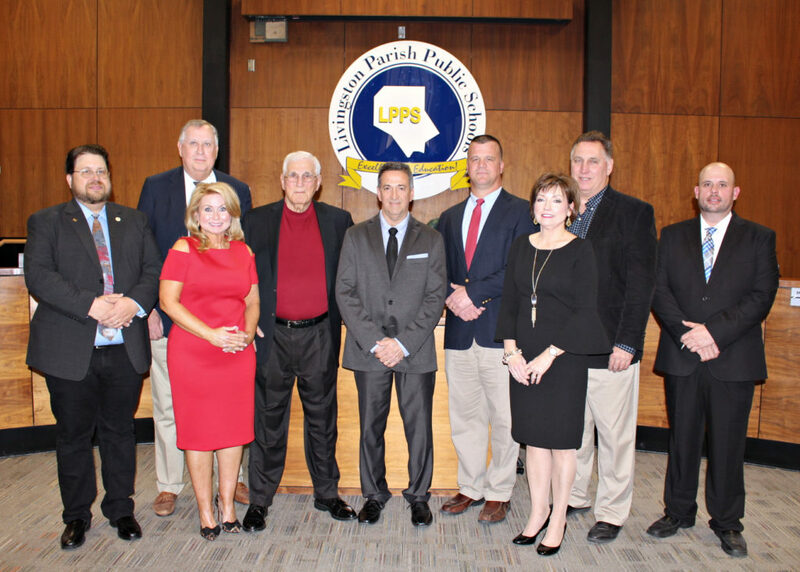 The four new board members who will take office January 1, 2019, include Brad Sharp of Livingston, District 1; Brad Harris of Denham Springs, District 4; Frank Parrino of Springfield, District 8, and Devin Gregoire of Albany, District 9. 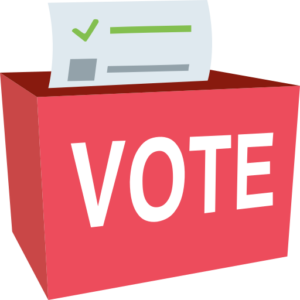 Returning board members are Kellee Hennessy-Dickerson of Watson, District 2; Jan Benton of Denham Springs, District 3; Buddy Mincey, Jr., of Denham Springs, District 5; Jeff Cox of Walker, District 6; and David “Bo” Graham of Walker, District 7; all of whom received no opposition for re-election to their seats. 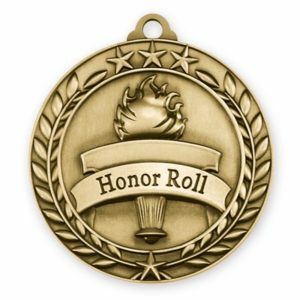 Northside Elementary and Eastside Elementary have earned spots on the state’s “Honor Roll” as a result of high performance during the 2017-2018 school year in their early childhood programs, according to a report released by the Louisiana Department of Education. Both schools were recognized in the “Excellence” category, which is the state’s highest possible rating on the school’s annual Performance Profile Report. 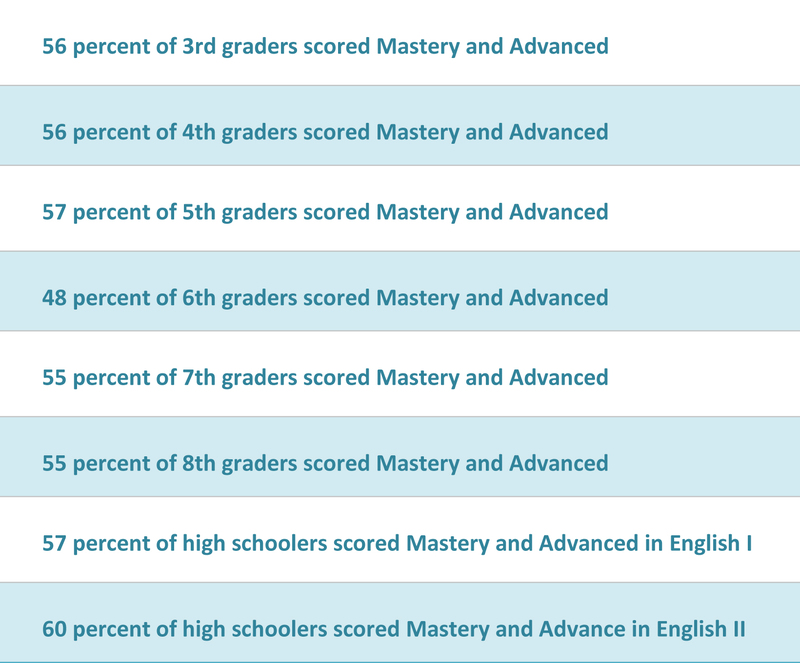 Only 90 schools statewide earned this top rating, according to the state report. Livingston Parish Public Schools currently offers 56 early childhood classes to Pre-K children at 24 different school sites. Supervisor of Instruction Stacey Milton said 15 parish school sites were within 0.5 points of also reaching the state’s “excellent” rating. 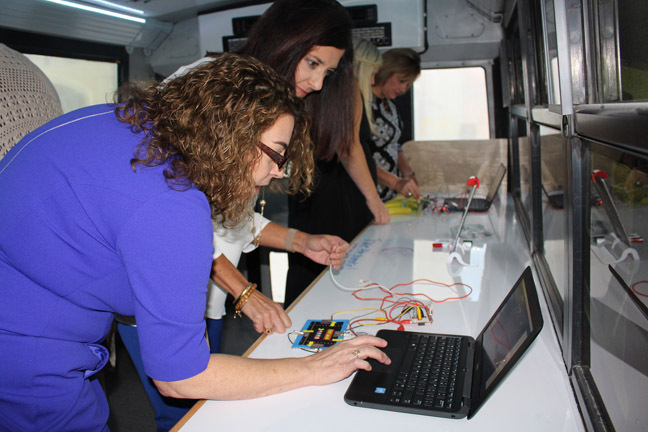 Livingston Parish Public School officials recently rolled out their newest effort in creating greater access to learning technologies by introducing the STEAM Express – a mobile classroom designed to take learning opportunities to community neighborhoods. The STEAM Express is decorated to take the appearance of a steam locomotive, including a working steam whistle, and is equipped with Wi-Fi, touch screen monitors and laptops, and hands-on, interactive modules to help students learn a variety of subjects. The flexible design allows educators to easily transition the mobile classroom set up from elementary-level activities to high school-level projects. Lewis Vincent Elementary Principal Lynette Wheat congratulated her students, staff and teachers for their hard work to earn a National Blue Ribbon Award from the U.S. Department of Education. The announcement was made on Oct. 1. Lewis Vincent Elementary has been named a National Blue Ribbon School based on the school’s overall academic performance and progress in closing achievement gaps among student subgroups. The school’s performance score has improved 13.1 points since the 2014-2015 school year, and is in the top 15 percent statewide for closing the gap between the academic performance of the general student population and economically disadvantaged students, students with disabilities and English as a Second Language (ESL) students. “What’s really so amazing about this award is that it recognizes our accomplishments during the time of our recovery from the flood. The challenges we faced in the flood recovery are not factors for this award. Our school achieved success at this highest level of recognition in spite of the challenges set before us. I am so proud of what we’ve achieved together; we truly are stronger than ever,” Lewis Vincent Elementary Principal Lynette Wheat said. The National Blue Ribbon award has been presented by the U.S. Department of Education since 1982. Lewis Vincent Elementary is only the second school in Livingston Parish to ever receive the coveted National Blue Ribbon designation. French Settlement Elementary earned the designation in 2009. The Livingston Parish Sheriff’s Office is asking voters to approve a half-cent sales tax on the Nov. 6, 2018, ballot to fund the hiring, training and staffing of uniformed School Resource Officers (SROs) at every school in the parish. SROs are sworn law enforcement officers who are specially selected and trained to promote safety within schools. 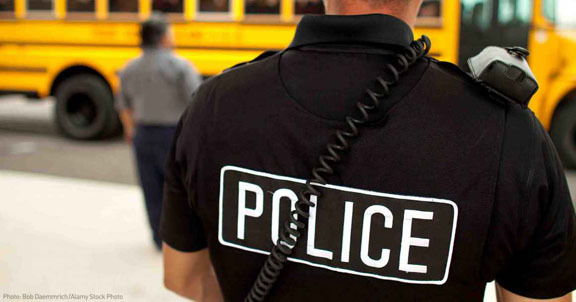 The school district currently employs 10 SROs across the district and pays half their cost through cooperative endeavor agreements with the sheriff’s office, City of Denham Springs and Town of Walker. Click here to see the wording of the Law Enforcement District Proposition. Springfield High School Senior Andrew Larpenter has been named a 2018 National Merit Scholarship Semifinalist. Larpenter is the son of Rodney and Kelly Larpenter of Killian, Louisiana. 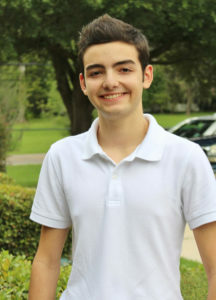 He is president of his senior class and a member of the school’s golf team and Beta Club. He participates in local community service projects and is currently overseeing the school’s public service announcement competition to promote positive behavior. Merit Scholar semifinalists are selected on the basis of their skills, accomplishments and potential for success in rigorous college studies. From the 1.6 million students who met entry requirements, approximately 16,000 were selected as semifinalists. Larpenter is currently vying for one of 7,500 National Merit Scholarships that will be offered next spring. (Picture left) Former Southside Elementary Principal Janelle Carrier signs her name on the cinderblock wall of the school as a “farewell sign off” to the school. (Picture right) State Rep. J. Rogers Pope speaks during the farewell ceremony for Southside Junior High. Pope formerly served as principal of the school. Past and present educators, students and community leaders gathered on the campuses of Southside Elementary and Southside Junior High on September 26 to say farewell to the beloved campuses that have had such a lasting impact on their lives and the lives of thousands of students in the Denham Springs community. Both schools will soon be demolished because of substantial damage caused by the August 2016 flood. 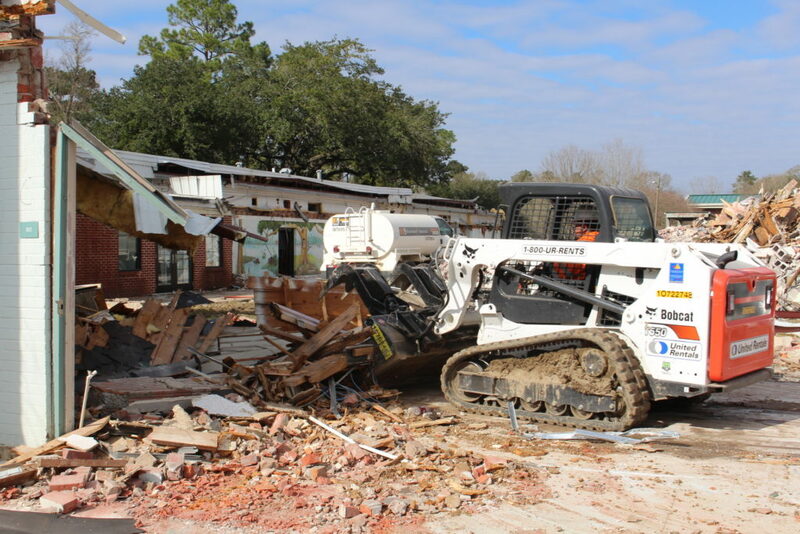 The schools have remained shuddered since the flood, but the Federal Emergency Management Agency (FEMA) recently approved a funding plan for the district to rebuild both schools. Both the new Southside Junior High and Southside Elementary will be rebuilt on the current 27-acre site of Southside Junior High on Highway 16 in Denham Springs. The combined campus design will house two distinct schools – Southside Elementary for K-5 students and Southside Junior High for 6-8 students – but they will share some facilities and recreational space to reduce duplication where possible and maximize cost savings. The Livingston Parish School System is expanding its ESL (English as a Secondary Language) program for the coming school year to help manage the district’s increased demand. The number of students going through the program has doubled since 2016, according to Supervisor of Instruction Steve Vampran. The district is opening a new registration center at the Pathways Campus and Adult Education Center, located at 13330 Burgess Road, across from Walker Freshman High School, to handle incoming students and to take the pressure off local campuses. A new parish-wide coordinator and office secretary are being hired this summer to manage the new center. Vampran said the district currently employs five certified ESL teachers and 13 paraprofessionals who work with ESL students. He anticipates the district having six certified ESL teachers and 14 paraprofessionals onboard for the new school year. “We have seen our population increase from 450 students to 860 currently over a two-year span. And with this recognition, we realized something needed to be done,” Vampran said. He predicts the district’s numbers to rise to 1,000 ESL students by next school year. 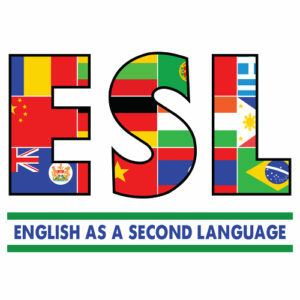 ESL programs are designed to help international students learn English or improve their English language and writing skills. The district also offers free English literacy skills classes for parents. Vampran said interested persons can enroll or get more information by sending an email to adult.education@lpsb.org or calling 225-664-9427. Livingston Parish Public Schools will add three more law enforcement officers to its campuses in the coming academic year amid concerns about safety following a number of school shootings across the nation. The school board approved the 2018-2019 budget to include monies to pay for another police officer in Denham Springs and two additional sheriff’s deputies throughout the parish. The additional officers bring the total number of school resource officers (SROs) working among the parish’s 46 school campuses to 10. The district will pay half the cost of the new officers as it does the current ones. The law enforcement agencies pay the other half. Superintendent Rick Wentzel said the school board’s new budget includes approximately $48,000 for each officer. The additions come as Livingston Parish Sheriff Jason Ard is proposing a half-cent sales tax on the Nov. 6, 2018 election ballot to fully fund SROs on every school campus in the parish. Pictured left to right, clockwise, are Frost School’s 2nd Grade Math Teacher Courtney Blount, 5th Grade English Language Arts Teacher Danna McCoy, Special Education Teacher Lisa Zeringue and Curriculum Coordinator Tricia Averette. They are taking part in a training exercise while sitting in a “low-seating station” during one of the district’s Learning Spaces workshops. The traditional classroom image of desks neatly lined in rows may soon become something of the past in Livingston Parish. That’s because more teachers across the district are incorporating creative learning spaces with flexible seating in their classrooms to more effectively increase student focus, collaboration and learning. “We began this initiative in earnest at some of our elementary schools, where traditional student desks were replaced with flexible seating options. The results of the new classroom configurations have been overwhelmingly positive – students are more comfortable, more engaged and more focused on their tasks,” Assistant Superintendent Joe Murphy said. 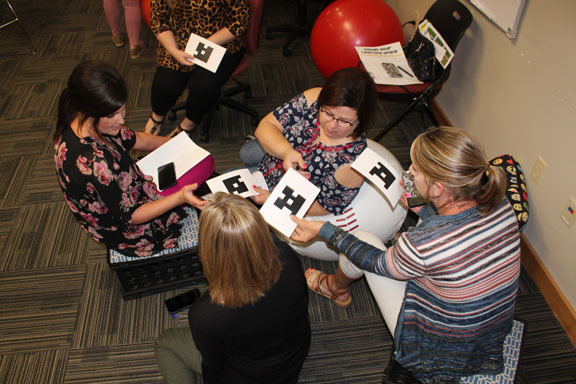 Instructional Technology Facilitator Nikki Lavergne said Learning Spaces workshops offered during the 2017-2018 school year maxed out quickly, prompting the district to schedule more in the summer. Those too, were so popular that extra sessions were added, she said. 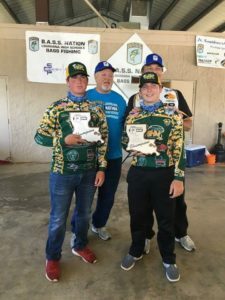 Walker High School students Hanson Chaney, left, and Bronson Beck, right, were named the 2018 Louisiana BASS National High School Fishing Champions. They were presented with plaques at the state championship tournament. They are pictured with BASS Louisiana High School directors Eugene Hoover and Jim Breaux. Chaney and Beck will compete in the national tournament in Paris, Tenn., in August. Two two-man fishing teams from Walker High School will compete in the 2018 BASS National High School Championship next month, including incoming junior Hanson Chaney and incoming senior Bronson Beck who were ranked as the No. 1 BASS High School Fishing Team in Louisiana for 2018. Also advancing to the national tournament, which will be held in Paris, Tennessee, August 2-4, are Jason McMillan and Hunter Kogel, who recently graduated. They had participated in the national tournament last year, prior to their senior year, becoming the school’s first-ever national fishing tournament finalists. They finished 4th overall in the state this year to qualify for a return trip to the national tournament. “Our team has done extremely well this year, finishing in 2nd place overall in the state, and having four teams finish in the Top 20 in Louisiana, out of a total of 247 teams statewide,” said Jeremy Ferachi, the BASS fishing team sponsor for Walker High School. He noted that Peyton Matherne and Lance LeBlanc placed 14th in the state, and Brennan Richard and Mackie Faucheaux finished the season in 16th place. Matherne returns this year as a sophomore, which Richard and Faucheaux return as seniors. LeBlanc graduated in May. Livingston Parish Assessor Jeff Taylor and local volunteers are once again gearing up to collect monetary donations and supplies for the parish-wide Assess the Need Campaign that is expected to provide nearly 3,000 students with the supplies they need to be successful in the classroom during the 2018-2019 school year. Volunteers will be taking donations for this year’s drive from 8 a.m. to 8 p.m. on Saturday, Aug. 4, and Sunday, Aug. 5, at the three Super Wal-Mart stores in Livingston Parish – located in Denham Springs, Walker and Watson. Donations can also can be given online at www.AssesstheNeed.com, or through the Assess the Need Facebook page. This is the 18th consecutive year Taylor has sponsored Assess the Need.